Inspired by the Holi Festival, a spiritual celebration of color and love observed in India, is an upcoming adidas NMD Hu Trail Holi Pack. One half of the pack comes dressed in a Chalk Coral, Flash Green and Lab Purple color scheme. This adidas NMD Hu Trail sports a tie-dye graphic upper with Green and Purple accents. A White Boost midsole and Coral rubber trail outsole completes the design. Look for the adidas NMD Hu Trail “Holi” to release on March 16th at select adidas retailers and adidas.com. The retail price tag is set at $250 USD. 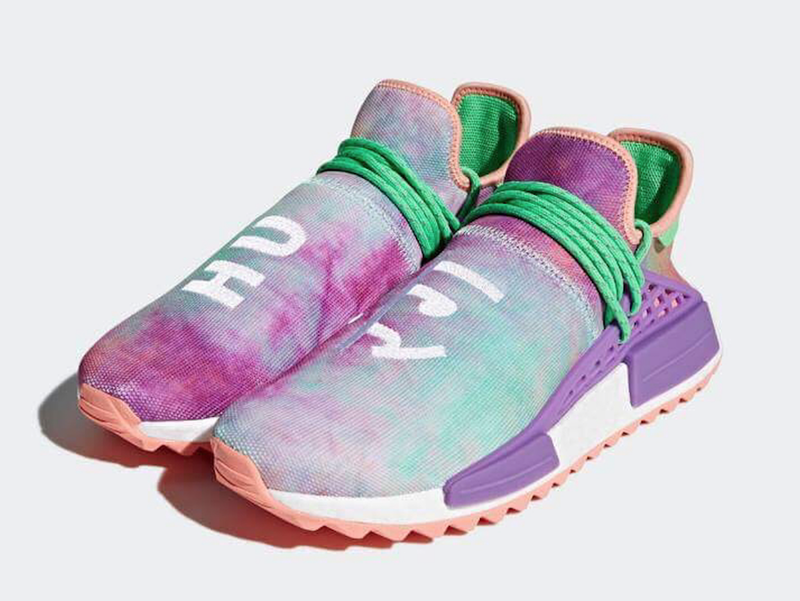 UPDATE: adidas releases official of the “Holi” NMD Hu Trail now dropping March 16th.